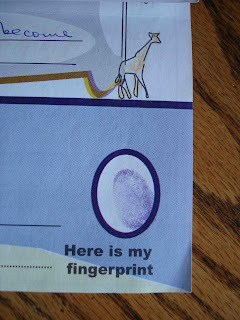 When I saw this little smudged fingerprint, tears sprung to my eyes and goosebumps covered my body. This isn't a sweet little charity project to teach the kids about giving. This isn't just another few bucks to put in the debit column of our budget. This is a beautiful, smiling, rope skipping little girl. And she's counting on us. I am 100% committed to this little sweet-pea. I want to help her stay healthy. 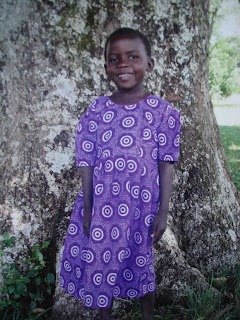 I want to help her go to school. I want to see her face to face some day. I want her to feel love from half way around the globe. Oh Lord, please keep and bless little Ikoid Gabdesia. What a touching story. Thanks for sharing and linking from my site.